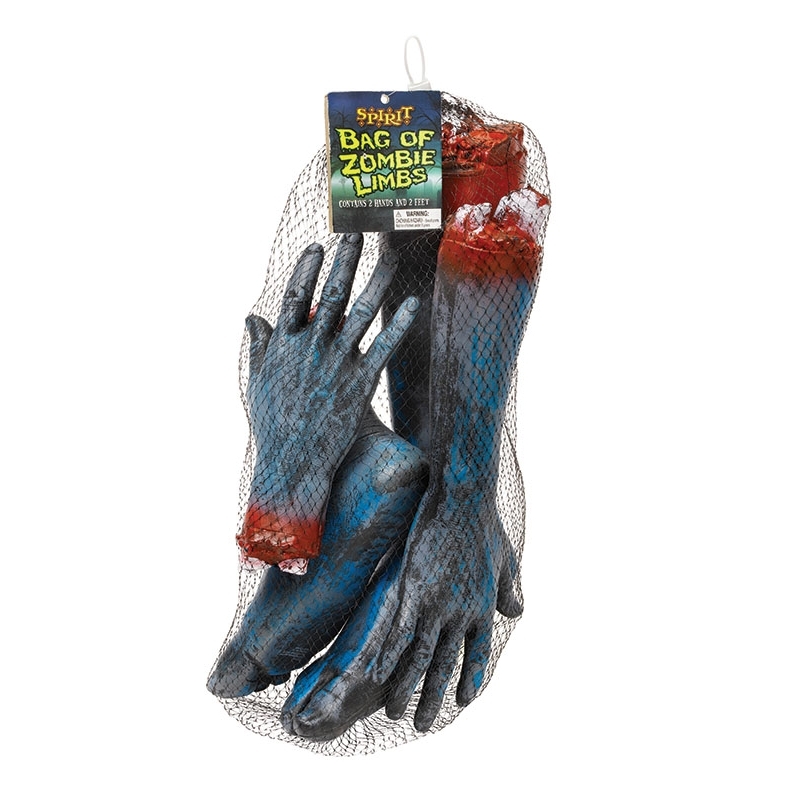 A net bag containing a selection of life-sized Bloodied Cut-off Zombie Limbs. These are ideal for Halloween and very realistic. They can be hung up as part of the halloween decorations or used to create a Zombie Grave scene. The limbs are made of plastic and dull grey in colour with exposed bones and all showing definate signs of rigamortis! We also stock a single Zombie Hand Body Part.